Ridiculously long battery life (up to 15 hours), extensive range, loaded with extras and protected by Midland’s 3-year warranty. 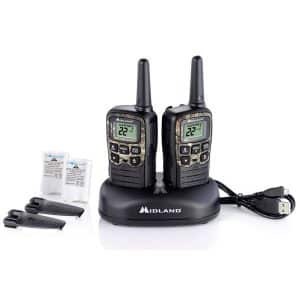 X-TALKER T71 walkie talkies feature up to a 38-mile range and features 36 Channels and 121 Privacy Codes, Channel Scan, and Midland’s signature NOAA Weather Alert and Weather Scan technology. Clear Reception. Clear Transmission. Clear Sound Quality. 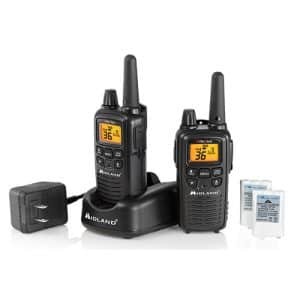 A low cost yet reliable solution, the X-TALKER T10 has up to a 20-mile range and features 22 Channels, Channel Scan, and our legendary Weather Alert technology. 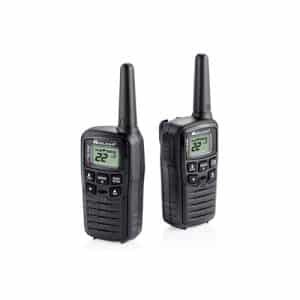 Each radio is powered by three “AAA” batteries (not included). Ridiculously long battery life (up to 15 hours), extensive range, loaded with extras and protected by Midland's 3-year warranty. 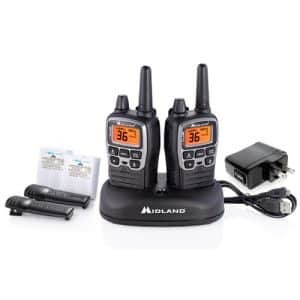 X-TALKER T71 walkie talkies feature up to a 38-mile range and features 36 Channels and 121 Privacy Codes, Channel Scan, and Midland's signature NOAA Weather Alert and Weather Scan technology. Clear Reception. Clear Transmission. Clear Sound Quality. 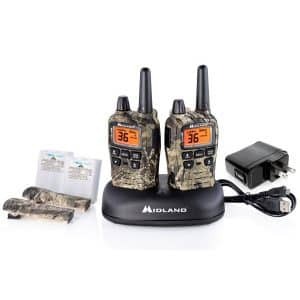 Gear up for the outdoors without sacrificing communication with the Mossy Oak® Break Up Country Camo pattern X-TALKER T75 GMRS two-way radio.